I just came across this album again and 5 years later, it's still as beautiful and moving as it was the first time I heard it. The opening track "Acoustic Snails" is what hooked me into this E.P. and every time I hear that haunting melody floating over a layer of busy tabla drums, I swoon. Maybe it's the tablas :: I am a sucker for tablas. But the rest of the album is gorgeous as well with dreamy synths, lazy beats, and an overall lush ambiance. 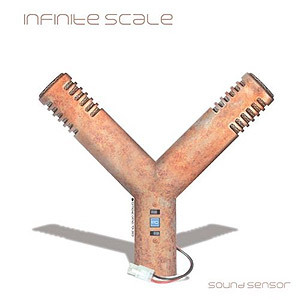 Infinite Scale has a few newer releases since Sound Sensor and currently has a weekly radio show on West London's Westside 89.6FM, Sundays from 22uhrGMT.